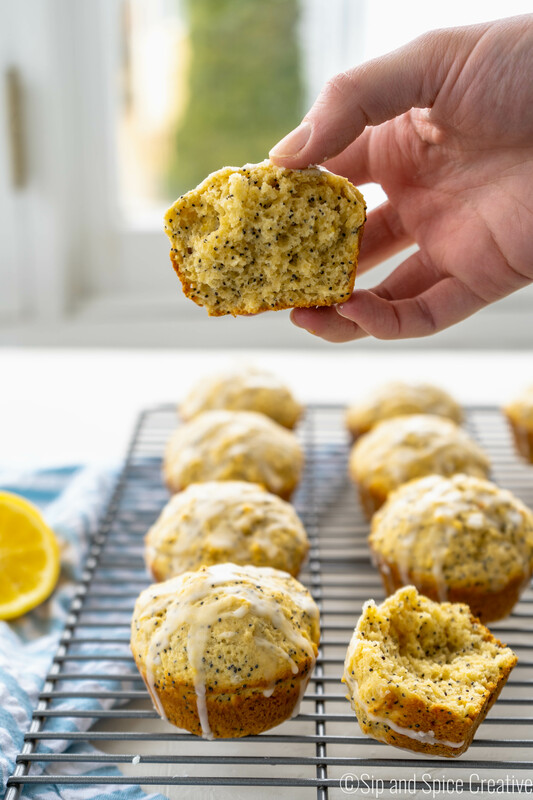 When you’re in need of a quick breakfast, something bright and delicious, these Glazed Lemon Poppyseed Muffins are your best bet! There are two things in the world that make for a perfect lazy Saturday morning. One is coffee. There’s something about getting to sit and sip a fresh cup of steamy coffee from a mug while curled up on the couch (usually in front of a Premier League soccer.. ahem.. football game) that feels so luxurious. The second is muffins. 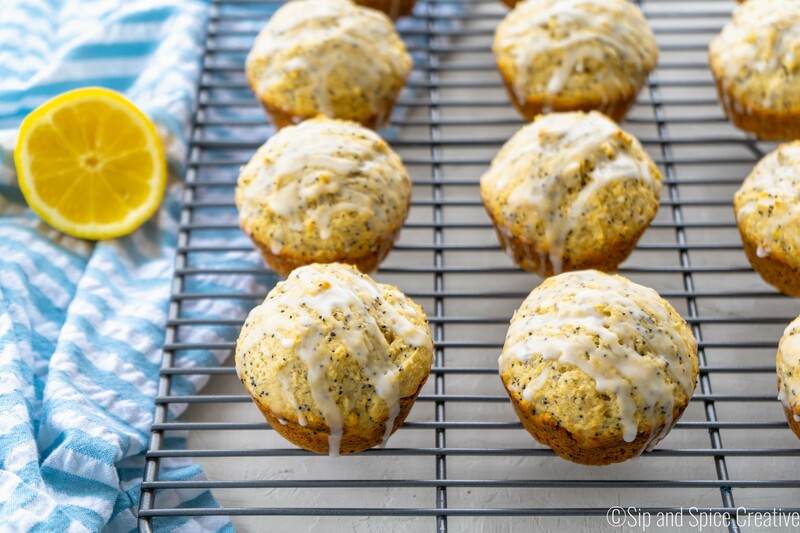 In most cases, I feel way too impatient in the morning to bake muffins fresh. Having to mix everything together and wait for them to bake and cool all on an empty stomach while the house fills with the heavenly smell of baked goods is not exactly my strong suit. Armed with a mug of hot coffee though, I powered through. And dayyyum…it was totally worth it. 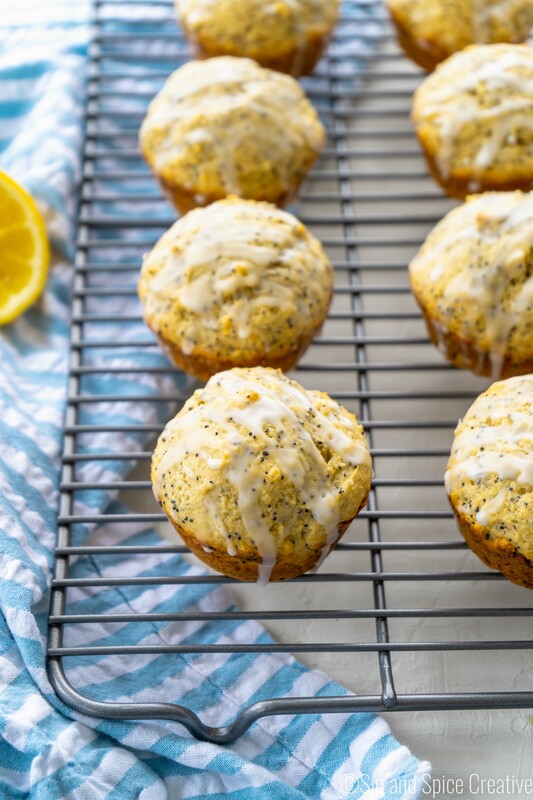 These Glazed Lemon Poppyseed Muffins were the answer to our lazy Saturday morning prayers. They’re super simple to make and crazy delicious. Plus, they fill the house with incredible lemon scent. While I usually reserve lemon flavored things for the summer, these were so bright and cheerful on a cool February morning. Plus, there’s nothing like leftover muffins to carry you through the work week! Preheat the oven to 375°F. Spray your muffin tin with cooking spray. In a large bowl, mix the sugar and the lemon zest together with your fingertips until the sugar is moist. Whisk in the flour, baking powder, baking soda and salt. In a small bowl, whisk the Greek yogurt, eggs, vanilla, lemon juice and melted butter together until well blended. 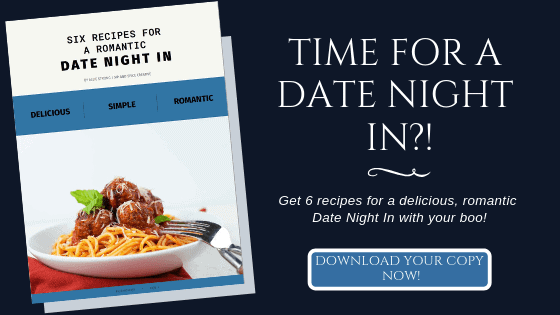 Pour the liquid ingredients over the dry ingredients and gently stir to blend. Don't overmix. Stir in the poppy seeds. It's going to seem really thick..don't worry, it's going great! Divide the batter evenly among the muffin tin. Bake for 14-18 minutes, or until the tops are golden and a thin knife inserted into the center of the muffins comes out clean. Transfer the pan to a rack and cool for 5 minutes before carefully removing each muffin from its mold. Cool the muffins completely on the rack before icing them. While muffins are baking, mix up the glaze. In a small bowl, stir the confectioner's sugar and lemon juice. 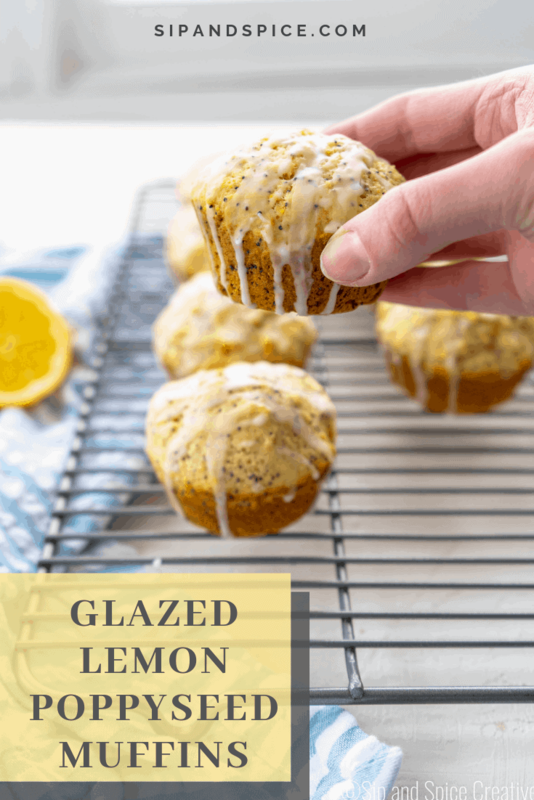 If glaze needs to be further thinned, as a tiny bit of lemon juice at a time until it's a drizzle-able consistency. 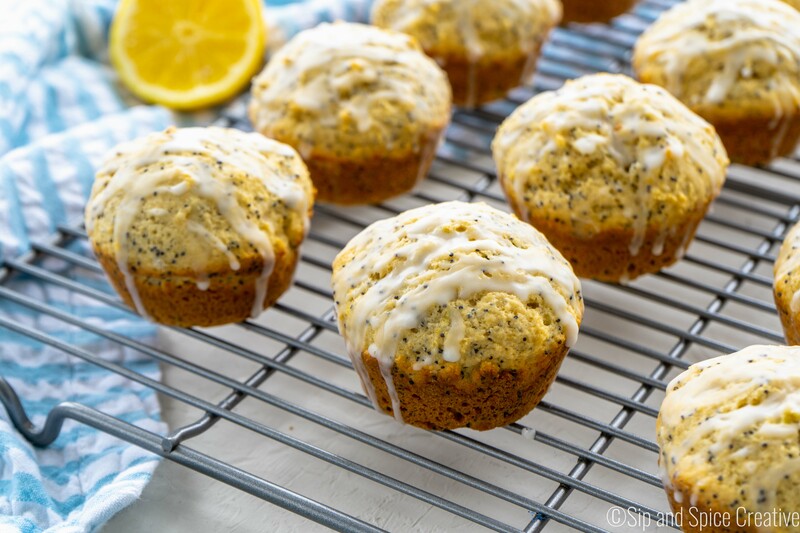 I love lemon and poppy seeds together! Looks so delicious!